VietNamNet Bridge – Some 1,625 people have engaged in the Ha Long-Cat Ba Alliance and 109 people have benefited from sustainable management and conservation of resources with the project’s support. This was announced by Nguyen Thu Hue, director of Centre for Marine Life Conservation and Community Development (MCD) at a meeting on Thursday held in the central province of Quang Ninh to review the Ha Long-Cat Ba Alliance. The three-year project, with financial support worth US$970,000 from USAID, was established to build a partnership among government, businesses and community leaders to preserve and protect Ha Long Bay and Cat Ba Archipelago. The project has trained 842 people on topics related to natural resource management and biodiversity conservation. In addition, it helped 206 others access modern technology and new management methods, Hue said. 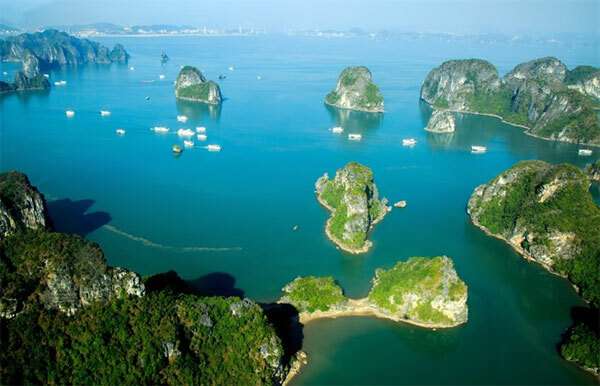 The project has contributed to strengthening planning and management of sustainable aquaculture in Ha Long Bay along with heritage preservation. It mobilised the community in the planning and piloting of sustainable aquaculture, particularly in Vung Vieng fishing village. Thanks to the project, local awareness of climate change and how to cope with it and knowledge on resource conservation and development have increased, she said. Through training, the project has helped establish groups of advocators in localities who can disseminate information on environmental issues to the community. The project has supported the development of an environmentally friendly agro-forestry model and technical training on the care, exploitation, management and protection of forests. Raising knowledge for local households in animal husbandry and cultivating luong (dendrocalamus membranaceus munro, a kind of bamboo) aimed at improving their livelihoods, Hue said. Besides dissemination activities, the project also helps local residents access markets through meetings with enterprises and establishing product development groups. This aims to improve relationships between farmers and distributors. According to Dang Huy Hau, vice chairman of Ha Long City People’s Committee, the project has brought economic and environmental benefits to locals, contributing to the protection of the Earth and tackling climate change. He emphasised that the Ha Long-Cat Ba Alliance has connected businesses and communities in Quang Ninh Province and Hai Phòng City to improve environmental quality and protect the world natural heritage in the face of pollution caused by aquaculture, wastewater and tourism. Local authorities have committed to supporting the expansion of the project and settled shortcomings to build on the gains the project has made, Hau said. Aquaculture associated with sustainable tourism development will be expanded in Ha Long and Cam Pha cities as well as Van Don and Tien Yen districts, he added. Participants at the meeting agreed that it was necessary to set up a strategic management system and strengthen multi-stakeholder co-ordination based on initiatives and interventions regarding environmental protection. The Ha Long-Cat Ba Alliance - an initiative launched by the International Union for Conservation of Nature and the MCD, has become a strong catalyst in improving environmental management and protecting Ha Long Bay World Heritage Site and Cat Ba Archipelago since June 2014. In 2014, Cat Ba was nominated as a world heritage site but failed to be recognised. In 2015, the alliance set up a leadership committee to improve granting sustainable tourism certificates to tourist boat businesses while supporting the United Nations Educational Scientific and Cultural Organisation in Ha Long Bay management and recommendation to enlarge the World Heritage Site, comprising Cat Ba Archipelago. It was decided at the fourth leadership committee meeting of the Alliance held in Hai Phong City in May this year that Hai Phong City People’s Committee will prepare the renomination dossier for Cat Ba Archipelago and submit it to the Ministry of Culture, Sports and Tourisms for submission to UNESCO in September. The final dossier will be filed on February 1, 2018. Cat Ba Archipelago covers an area of more than 320sq.km with 388 islands and islets. In 2004, it was recognised as a World Biosphere Reserve by UNESCO.